Enjoying an enviable position within the village with direct outlooks over the village green, this traditional C listed sandstone property offers deceptively spacious family accommodation with a cleverly designed extension to the rear which works perfectly as an incorporation of the main house but could also provide scope as a granny annex or if catering for extended family. 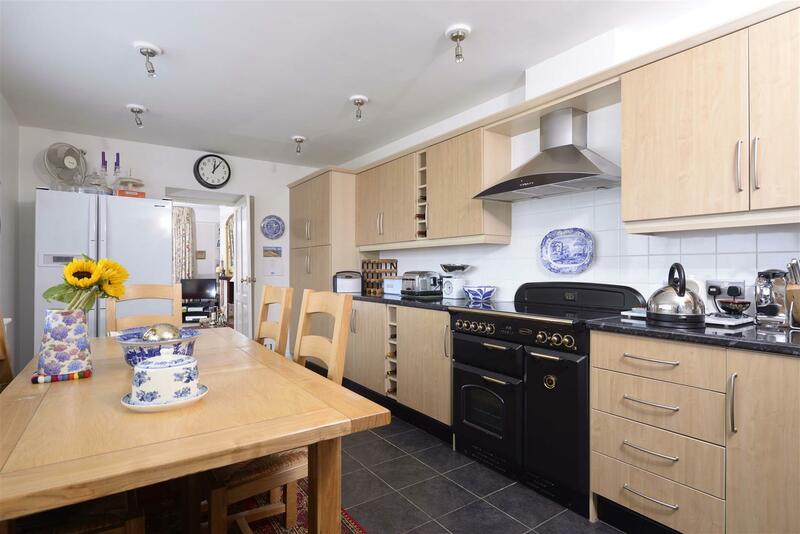 The interior offers a lovely blend of traditional features which marry perfectly with some of the more modern fixtures and fittings and having been presented beautifully throughout, the property is in true move in condition. 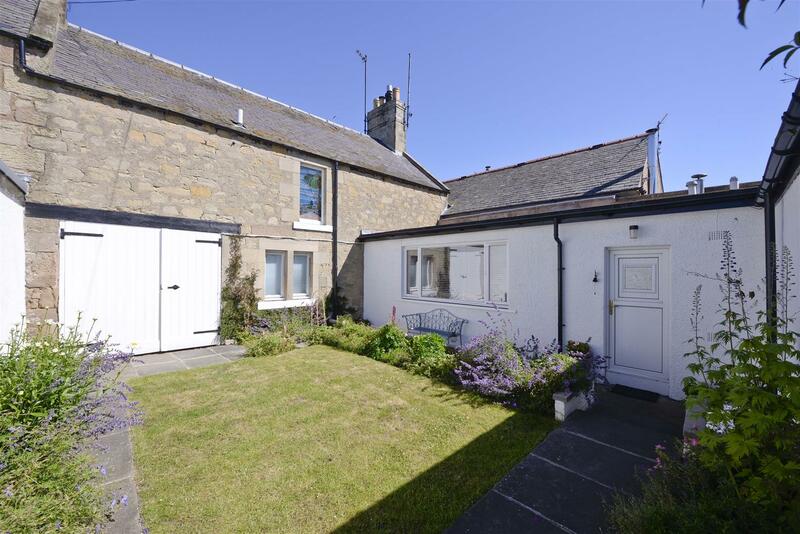 Ideal for those looking to purchase a family home in a village setting with plenty of space both inside and out with the benefit of a large south facing very private garden to the rear. 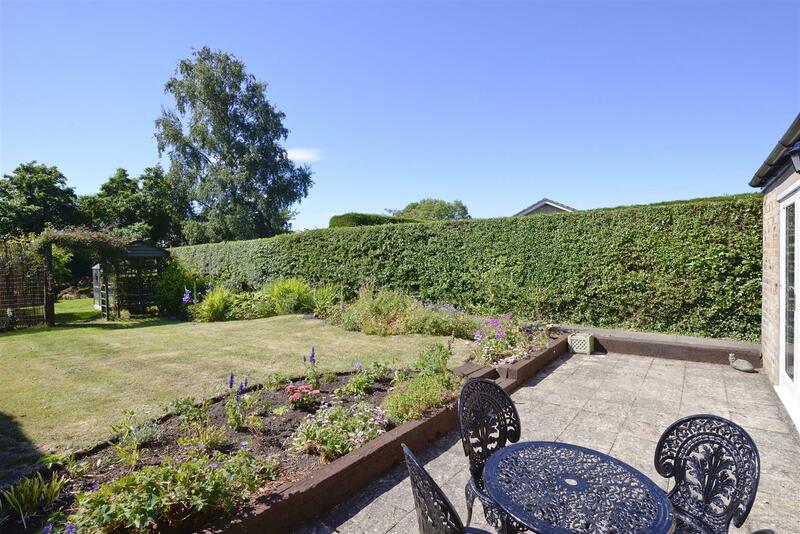 Swinton is a popular village with a traditional Village Green and local amenities include Primary School, playpark, garage, builders, hotel restaurant and church. 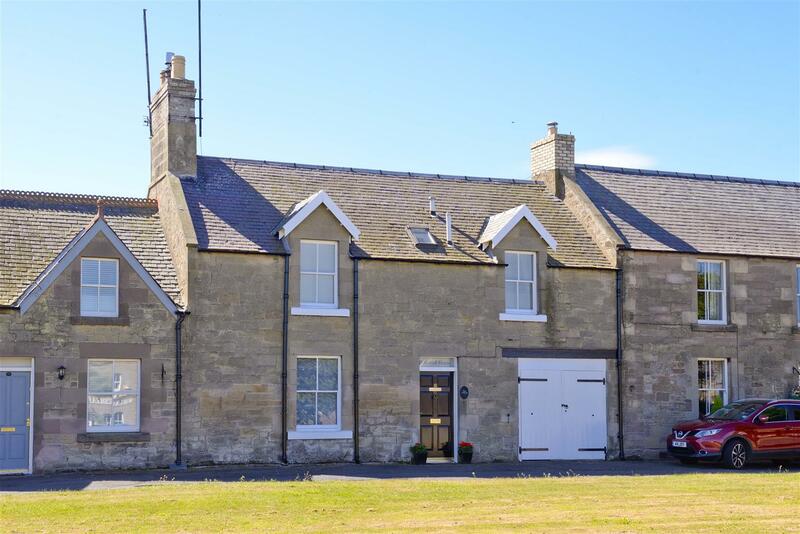 The area is an ideal country location with opportunities for fishing on the Tweed, golf at Duns and the Hirsel, horse riding and walking in the Cheviot and Lammermuir hills. 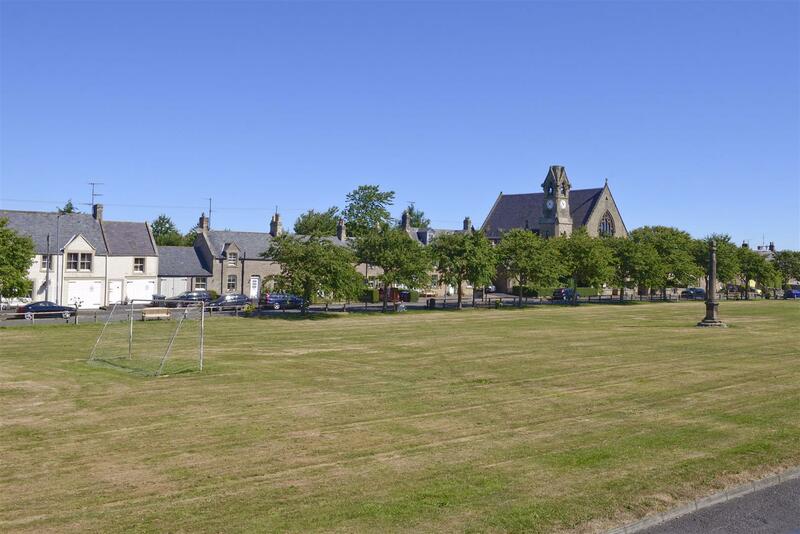 The village is centrally situated with the nearby towns of Duns, Coldstream, Kelso and the Coast and main line rail station at Berwick all within a 12-mile radius. Edinburgh and Newcastle are within easy reach by car. Lounge, Dining Kitchen, Utility Room, Family Room/Dining Room, Three Double Bedrooms (Two with en-suite facilities) and Luxurious Family Bathroom. Garage, Courtyard and Private Rear Garden. The traditional timber entrance door opens into a welcoming hallway with practical tiled flooring and a staircase extending to the upper floor featuring a window above ensuring good natural light. 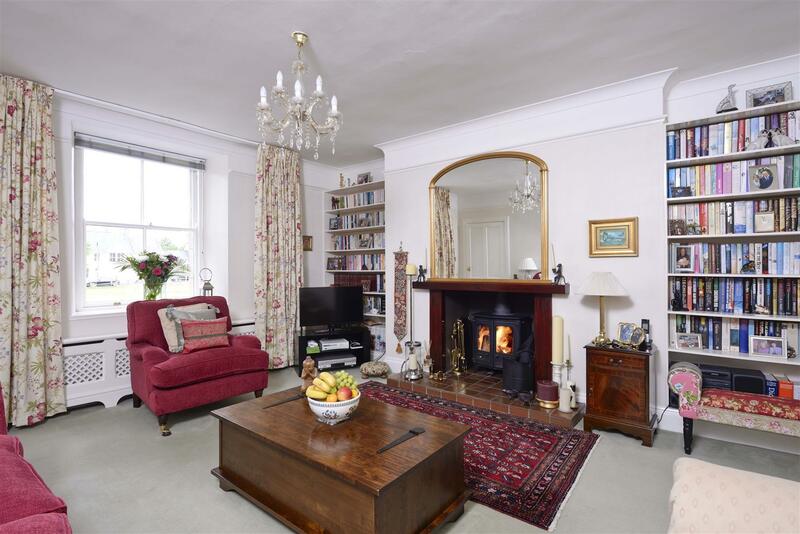 With outlooks over the village green the lounge is a lovely traditional room of good proportions which is beautifully presented and benefits from a focal point provided by the log burning stove which is set into an Inglenook Fireplace. Leading from the lounge, the dining/kitchen extends towards the rear and enjoys delightful aspects over the sunny enclosed courtyard garden. The kitchen itself is fitted with a good range of modern wall and base units and provides ample space for everyday dining. The rear hall provides access to the courtyard and has a door off into the adjoining very useful utility area which is plumbed and has space for a washing machine and tumble dryer and also houses the central heating boiler. 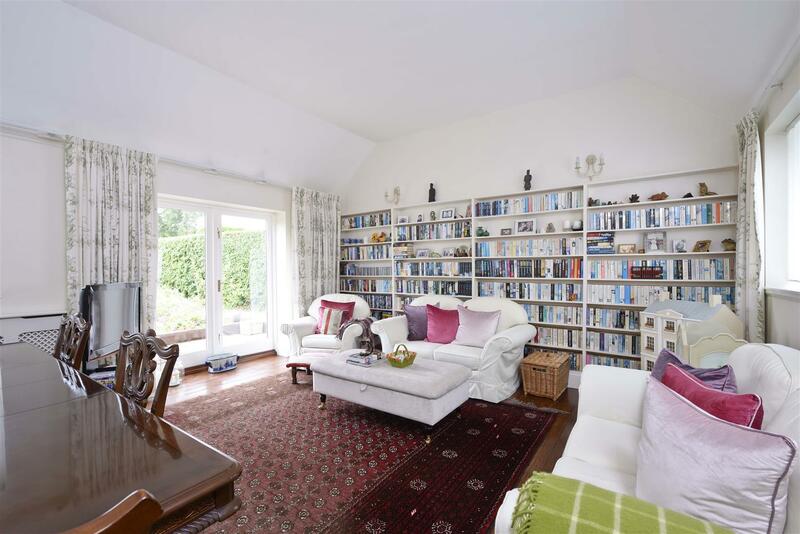 Within the extension towards the rear, the family room or dining room if preferred, is an impressive space with vaulted style ceiling and floods of natural light thanks to the French doors to the rear which open out onto the south facing garden beyond. 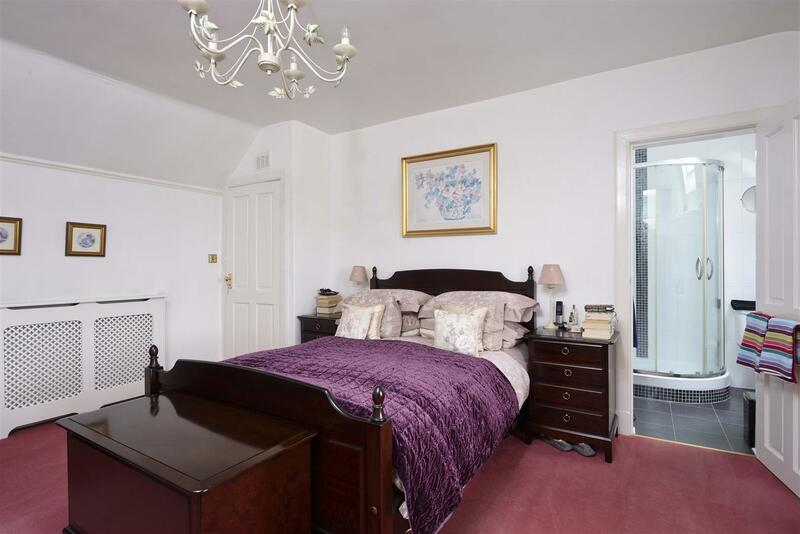 The downstairs bedroom next door is a well-proportioned double room with a similar garden aspect and benefits from an en-suite bathroom which is fitted with a three piece suite with shower over the bath. 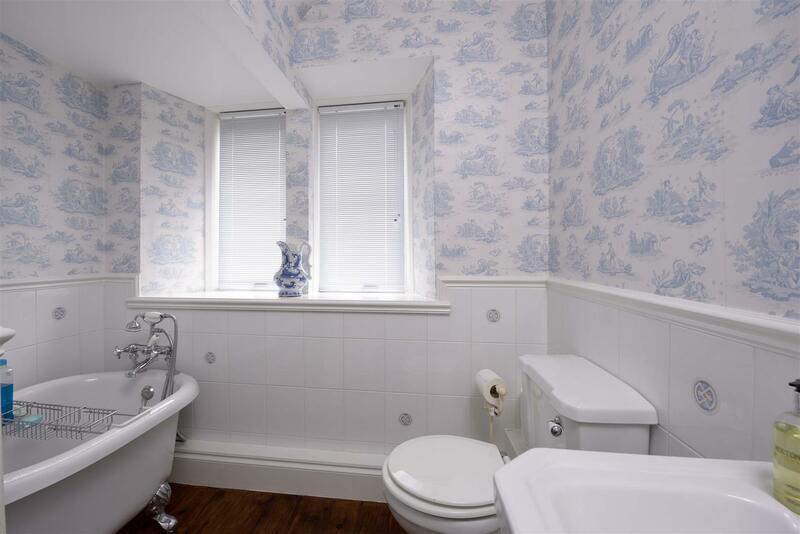 A real touch of luxury can be found in the family bathroom with stylishly tiled walls and a white suite comprising WC, pedestal sink and claw foot slipper bath. A carpeted staircase leads to a half landing with a large stained glass window to the rear overlooking the courtyard. Steps to either side of the landing lead into both the master bedroom and bedroom two. The master bedroom is a particularly spacious room, again featuring a large sash and case window to the front overlooking the village green. This room provides ample space for a range of bedroom furniture and benefits from a fitted storage cupboard. 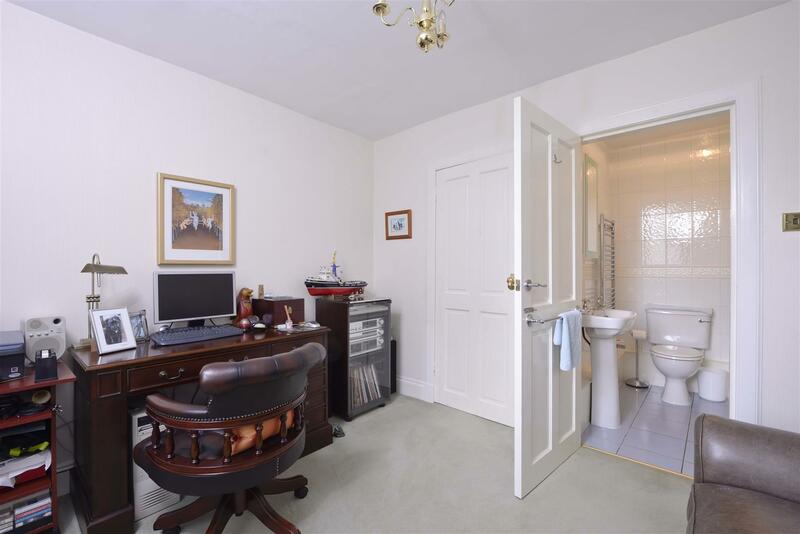 The en suite freshly presented and comprises a large fully tiled shower cubicle, WC and a pedestal sink. 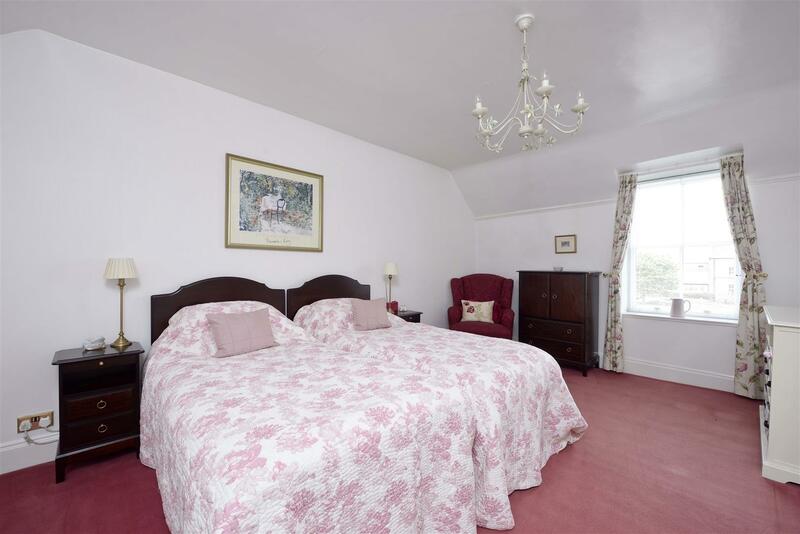 The second bedroom is equal in size and again enjoys an outlook to the front over the village green. Former cart doors to the front allow vehicle access with the back being open to the enclosed courtyard garden. Power and water. 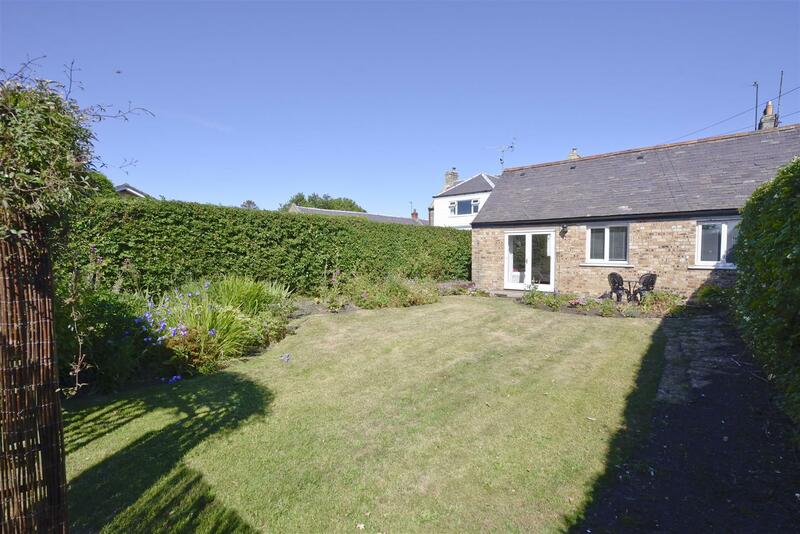 The enclosed courtyard is an absolute sun trap and enjoys excellent privacy with access both from the rear of the garage and from the kitchen. 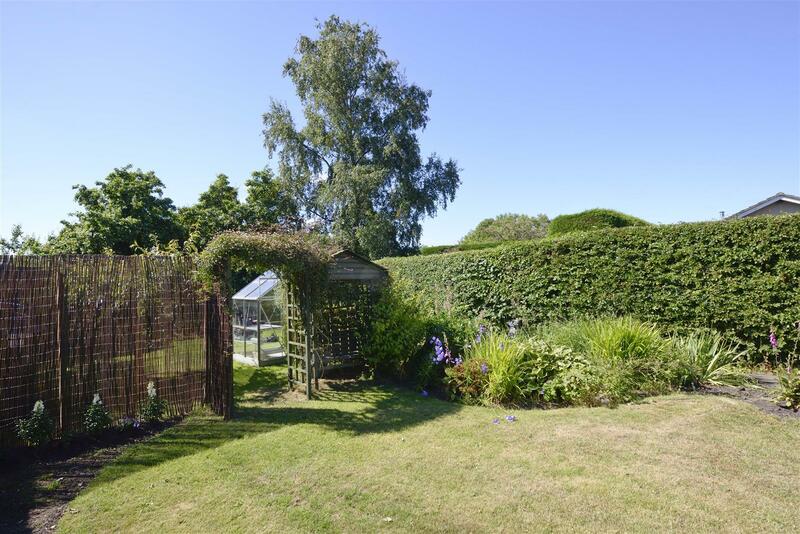 A gate from the courtyard opens into the main area of south facing garden towards the rear of the property which is sizeable and mainly laid to lawn with planted beds and borders. Garden shed and greenhouse. All carpets and floor coverings, light fittings, blinds, curtains and radiator covers will be included in the sale.